The Boomers head into their Olympic qualification series against New Zealand this week full of confidence and international talent. Not only is a win important for players to realise their Olympic dreams but for the momentum of the sport in Australia. To put it simply Australia are waving a ride of basketball success. Seven Australians currently call the NBA home with almost two dozen more plying their trade in the top competitions around Europe. Despite this, basketball has its fundamental flaws in Australia. Blame the structure of the NBL, blame the decision makers, blame the decision to start a rebel winter league in 2 years time. Whatever you choose you won’t be alone. The number of kids playing basketball in Australia is on the up. It’s a great place for kids to start their sporting lives (it’s where I started mine), it’s fun, fairly cheap (which is a big plus for parents) and most importantly there are strong pathways in place. So why should the Boomers be so desperate for a spot in the 2016 Olympic Games? Besides the opportunity to call yourself an Olympian for the rest of your life (which should be motivated enough), the Boomers have the chance to be heroes. I’m not talking your garden variety sporting hero for one achievement. Assuming they get to Rio (which realistically they have no reason not to when you look at the respective Australia and New Zealand rosters), the Boomers have the kind of depth that will see them threaten for a medal. I briefly touched on the pathways offered by basketball as a sport and Australia have gone for the greater part of the last decade without the shining lights of many other nations. Bogut was #1 in the draft, Exum was #5, Dellavedova is a kid from the country who’s playing alongside the greatest player of this generation and the Cam Bairstow’s of the world have shown that drive is just as important as the talent you’ve got. There’s an idol in there for every young athlete. Without sounding old and grumpy, back in my day we were told to idolise the likes of Shane Warne and Wayne Carey. Two shining examples of what not to do in the spotlight. There isn’t a bad bloke amongst this crop of Boomers. 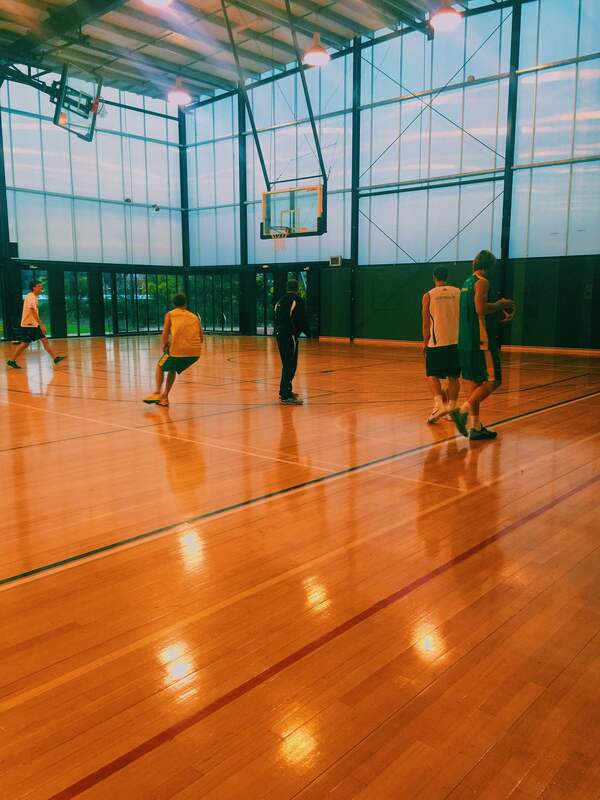 Success over the next week (and in Rio) might just be the push basketball needs to get back on the map in Australia. This entry was posted in Published on xavierplayer.com, Written and tagged Basketball. Bookmark the permalink.